Vice Admiral Herberger was born in Albany, NY. He was commissioned an ensign upon graduation from the US. Merchant Marine Academy, Kings Point, NY, in February 1955. He sailed in the Merchant Marine with both Grace Line and US. Lines.. His early Navy duty was aboard USS ROCKVILLE (EPCER-851), and USS NEPTUNE (ARC-22). Admiral Herberger graduated with Class One from the Navy's Destroyer School and began his service in destroyers as Operations Officer aboard USS DEWEY (DLG-14). He completed the engineering science curriculum at the US. Naval Postgraduate School, Monterey, CA in June 1965 and next served with the Naval Advisory Group, Military Assistance Command, Republic of Vietnam, as advisor to the Vietnamese Navy River Force and later as senior advisor to the Vietnamese Navy. After duty as Executive Officer, USS GLENNON (DD-840) he assumed command of USS COURTNEY (DE-1021) in April 1968. Admiral Herberger was Director of Training at the Navy Officer Candidate School, Newport, RI during 1969-71. Next he was Commanding Officer, USS WADDELL (DDG-24). 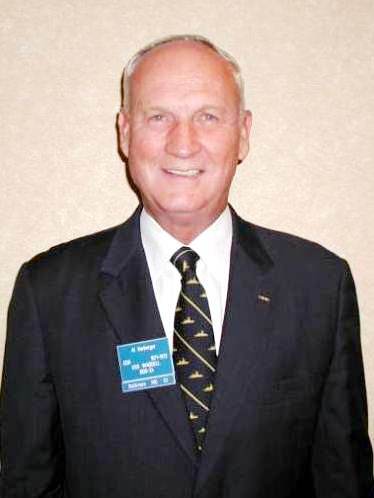 After an assignment as Surface Commander Detailer with the Bureau of Naval Personnel, he became Executive Assistant to the Chief of Naval Personnel for Officer Deployment and Distribution in 1974. 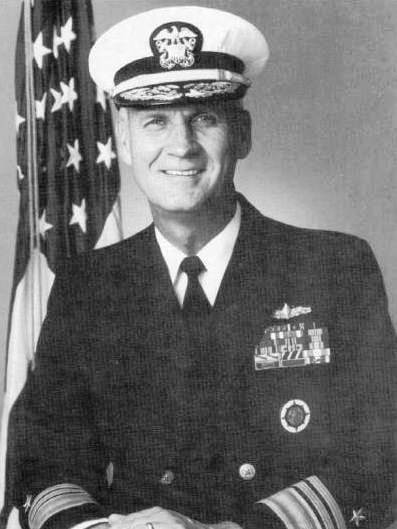 Admiral Herberger served as Commander, Destroyer Squadron TWENTY-FIVE from September 1975 to April 1978, and in July 1978 became Deputy Director of the Total Force Management Control and Analysis Division in the Office of the Deputy Chief of Naval Operations (Manpower, Personnel and Training). From December 1979 to March 1981, Admiral Herberger served as the Executive Assistant and Naval Aide to the Assistant Secretary of the Navy (Manpower, Reserve Affairs and Logistics). He assumed flag rank and duty as the Assistant Commander for Distribution, Naval Military Personnel Command in April 1981. From June 1982 until May 1985, he was Director, Military Personnel Policy Division in the Office of the Chief of Naval Operations. Admiral Herberger served as Commander, Cruiser-Destroyer Group TWO from June 1985 until July 1986. This group in Charleston, SC consisted of 42 surface ships ranging from cruisers and destroyers to ammunition ships, minesweepers and fleet support activities. From August 1986, he was assigned as the Director for Logistics on the staff of the Commander in Chief, U.S. Atlantic. Fleet, and in May 1987 assumed additional duties as Deputy Commander in Chief and Chief of Staff, US. Atlantic Fleet. From September 1987 to February 1990 he served as Deputy Commander in Chief, US. Transportation Command, Scott Air Force Base, Illinois. In April 1989, Admiral Herberger received the "Old Salt" award trophy from the Surface Navy Association which recognizes that he is the longest- serving Surface Warfare Officer qualified Officer of the Deck on active duty. Admiral Herberger has been awarded numerous personal decorations including the Defense Distinguished Service Medal, the Legion of Merit (w/four gold stars) and the Bronze Star Medal (w/gold star and combat 46v@9). Admiral Herberger is married to the former Rosemary Blair of Albany, NY. The Herbergers have four children: Jeffrey, Mary-Terese, Bethann, and Jon.